If you’re looking for a scheduling application that can do it all: Facebook, Twitter, LinkedIn, Google+ pages, and Instagram, then Buffer is the best and easiest application to use. The free Awesome plan also includes Pinterest and the cost is a mere $10/month. What a deal, right? 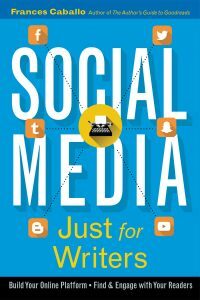 If you want an app that covers more social media networks than SocialOomph and for some reason you’re not pleased with Buffer, then your next option is Hootsuite. It’s not quite as easy to set up as Buffer, but it’s a worthy application that a lot of people use. This application makes my online life so much easier. I can unfollow users who don’t follow me back, get rid of inactive accounts I follow and create whitelists for accounts I want to follow even if they don’t reciprocate by following back. All I have to do is spend at most three minutes a day cleaning up my Twitter account, and I’m done. Tweepi is a worthy alternative to ManageFlitter and I believe it’s been around longer. For just $10.75/month, you can delete accounts that don’t follow you, sort and filter followers, add users to your lists, and force users, such as spam accounts, to unfollow you. Its platinum program has additional features. This is such a cool app. If you have trouble focusing on your writing, OmmWriter creates a natural online environment where you can write without interruption while listening to meditative music. I use this app when I write my blog posts. I’ve been using Grammarly for three years, and I won’t publish a blog post without it. Once you sign up and pay the $135 annual fee, you can either cut and paste your post into the online program or upload your blog post straight from your computer. If you have a Mac, you’ll want to get the free Grammarly desktop app to check grammar, spelling, and usage, and identify text that doesn’t pass its plagiarism test. If you want to understand your Facebook page, know what types of content work best with your readers, and know the best times to write your status updates in the future, you need to periodically review Facebook’s Insights. If you plan to purchase Facebook advertising, check your Insights first. The number of tweets you’ve sent. Mentions of your Twitter username. The number of followers you’ve gained. The number of tweets linking to you. Beneath the 28-day summary, on the right, you’ll see a summary for the current month. The summary will also include your top tweets, top followers, and other numbers. You can dial down the summary and find even more specific information within the tabs titled Tweets, Audiences, and Events. If you want to succeed on Twitter, visit your analytics at least monthly. I almost forgot to mention this: the analytics are free. The final application I’ll discuss is Canva. I don’t know what I would do without it. I’m still using the free portion of the application, and so far, it fits all of my needs. I use Canva for every image with text that you see on my website. Its drag-and-drop feature is easy to use, the website offers free templates, and you can either purchase images from Canva or download them for free from a new of websites with copyright-free images. 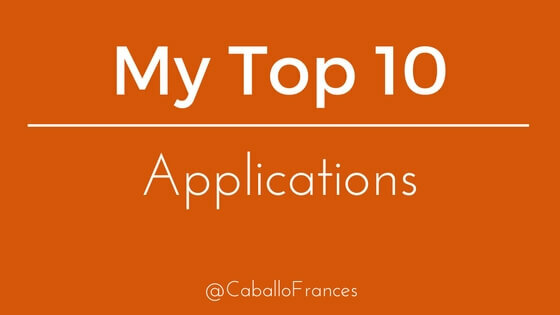 Now you have my unbiased perspective on the above ten applications that I use and love to use. Next, I’d love to hear which applications you rely on.